Rarely, can anything restore the body, mind, and soul more than the peace and tranquility that can be found on the banks of a Florida river. It is just that sort of restfulness that we discovered at the St. John’s River in Florida. This storied body of flowing water is what comes to mind when picturing the idyllic river setting. Click here to visit the Renegades on The River Website. At 310 miles long, the St. John’s River is the longest north-flowing river in the United States and home to many types of wildlife, plants, and birds, including the American white ibis, barred owl, and the bald eagle. Nature is at its best at the St. John’s River and the soothing sounds (and quiet) it provides couldn’t be more perfect. So where to go and where to stay? Where can you find the best St. John’s River Resorts? 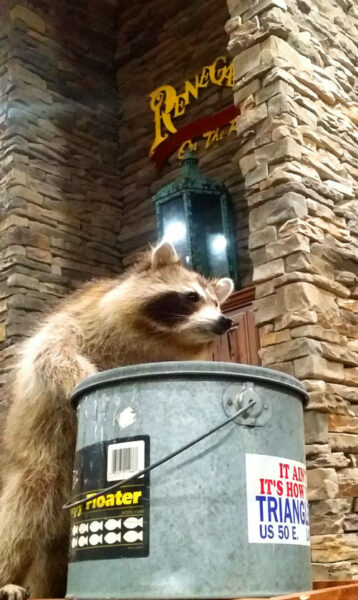 One of the many rustic seating areas in the Renegades restaurant dining room. 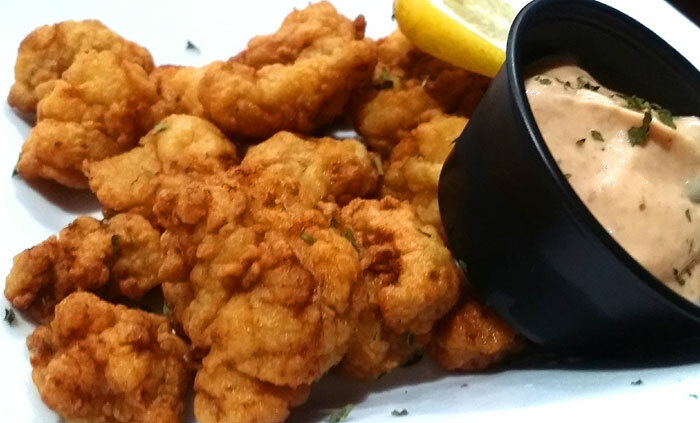 All white meat Gator Tail nuggets are sooooo good at Renegades on the River! 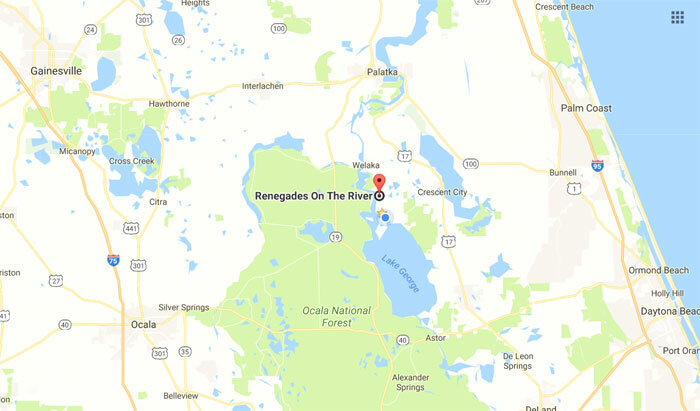 If you are looking for this type of paradise, we recommend that you grab the family, jump in the R.V., and visit Renegades on the River, a newcomer on the scene of St. John’s River Resorts, located at County Road 309 in Crescent City, Florida. Renegades is an upscale R.V. resort offering not only R.V. 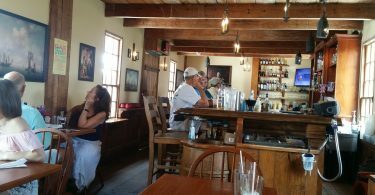 sites, but a marina with boat rentals and boat slips, a tiki bar, and a beautifully decorated restaurant offering a variety of scrumptious dishes, such as Ahi Tuna, Hawaiian Pork Steak, Skillet Sheppard’s Pie, Rustic Shrimp and Grits, and of course, for those a little more daring, Gator Tail. Make sure you start off with a bowl of clam chowder. 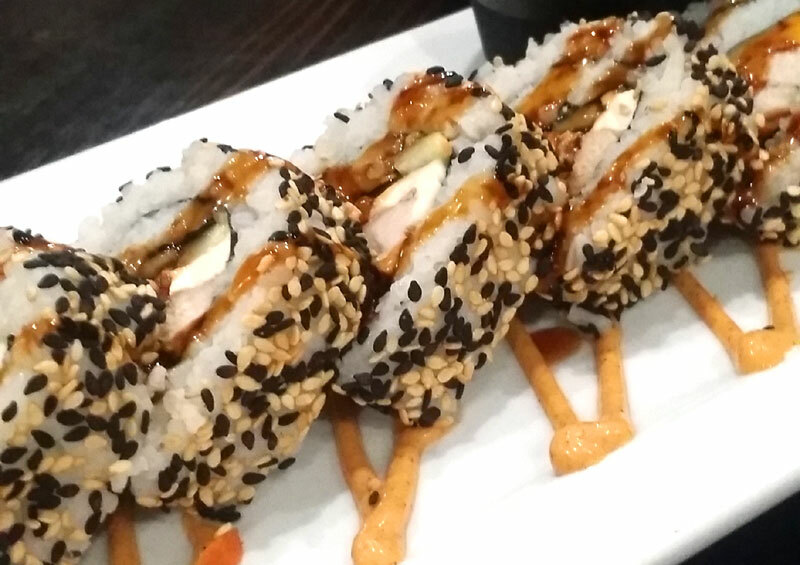 It’s oh so creamy and delicious! Just how many St. John’s River Resorts offer dining options as good as this? Not many, that we can tell you. 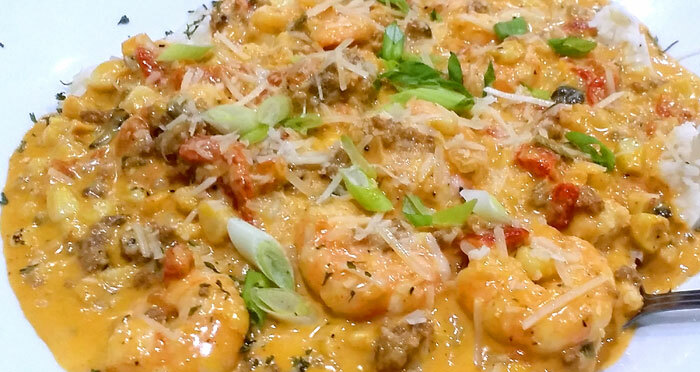 Shrimp & Grits at Renegades restaurant. St. John’s River Resorts. Bring your RV or stay in a rustic river cabin. 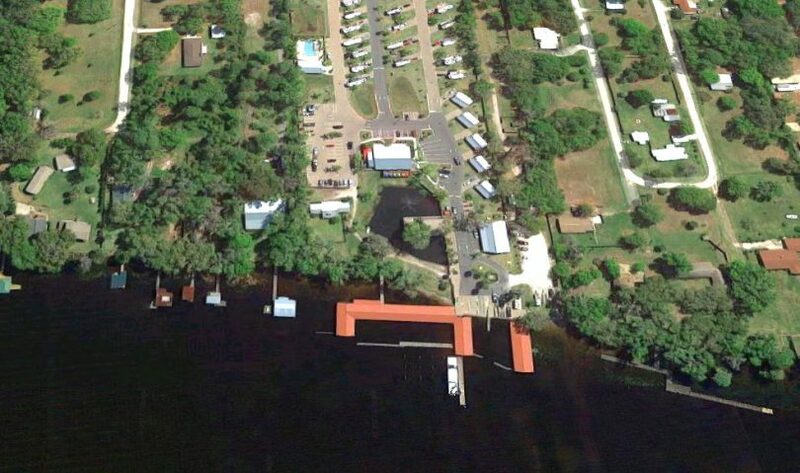 Are St. John’s River Resorts that offer a place for your RV what you’re looking for? Maybe you are thinking that trip sounds like fun, but you don’t have an R.V. There’s no need to worry. Renegades on the River also offers cabin rentals. The charming cabins are cozy, well equipped, and complete with a front porch. They can be rented daily for $150 plus tax, Weekly for $900 plus tax, and monthly for $3600 plus tax. 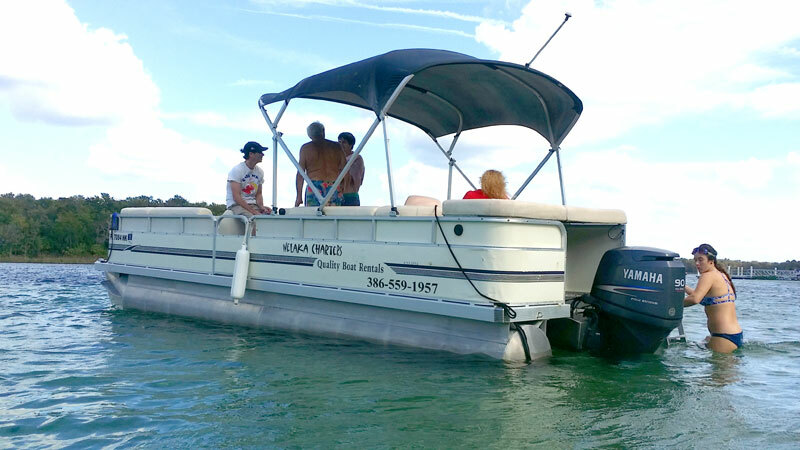 Rent a boat and go fishing or Swimming at a Spring. St. John’s River Resorts. We rented this pontoon boat at Renegades on The River from Welaka Charters. And took a scenic trip to Salt Springs just about a 30-minute ride by boat. In addition to all that is provided, there is a bait shop where you can purchase all that you might need for a day on the river. 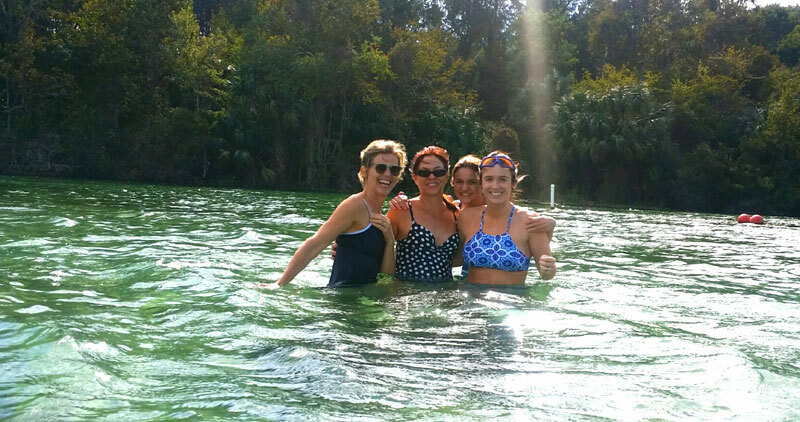 Go swimming at Salt Springs which is just about a 30-minute ride by boat. Cooling off on a hot Summer day at Salt Springs. When you finish with your fishing or boating trip (if you don’t happen to make it to one of the breathtaking springs), you can come back and take a dip in the sparkling pool. If you love Florida history, you might want to lounge around the pool reading A Land Remembered, Patrick D. Smith’s best-selling historical fiction novel set in pioneer Florida. A perfect way to enjoy an afternoon at one of Florida’s St. John’s River Resorts. St. John’s River Resorts all ready to go, just add you. Florida’s St. John’s River Resorts are calling and Renegades on the River is a perfect place to start. What are you waiting for? Everything you need for that perfect relaxing vacation can be found at Renegades. Just bring your shorts, bathing suits, and a desire for a memorable vacation. 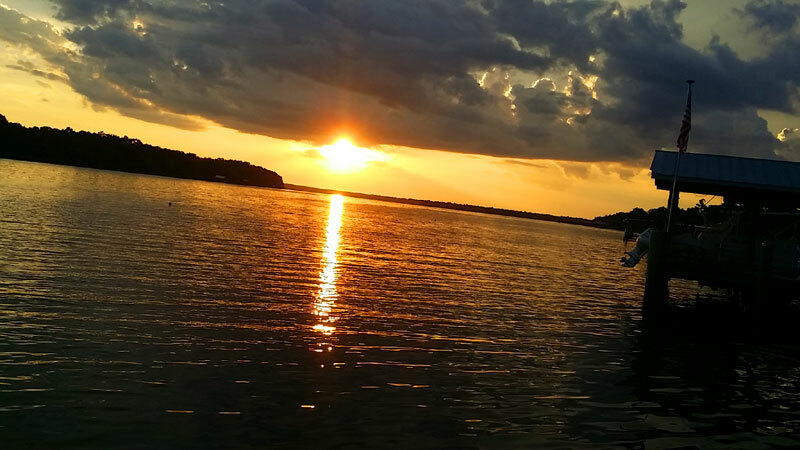 The beauty, peace, recreation, and relaxation await you at Renegades on the St. John’s River. Call and book your vacation today at 386-524-4179. Experience old Florida at one of St. John’s River Resorts like Renegade’s on the River. The time you spend away from the hectic pace of your normal schedule with family and friends will turn into memories that are sure to last a lifetime.